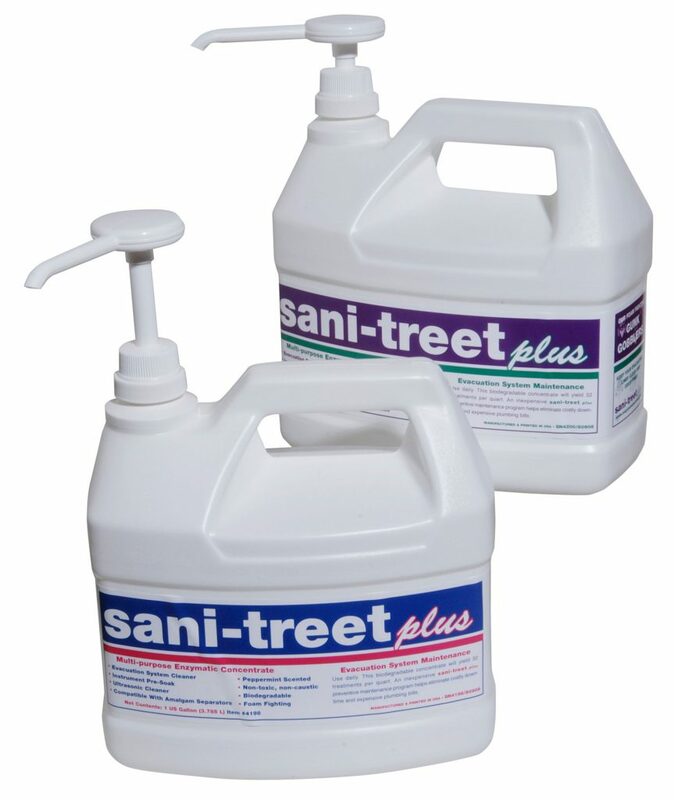 Sani-Treet Plus is a non-foaming, biodegradable, non-toxic, enzymatic concentrate designed for evacuation maintenance. 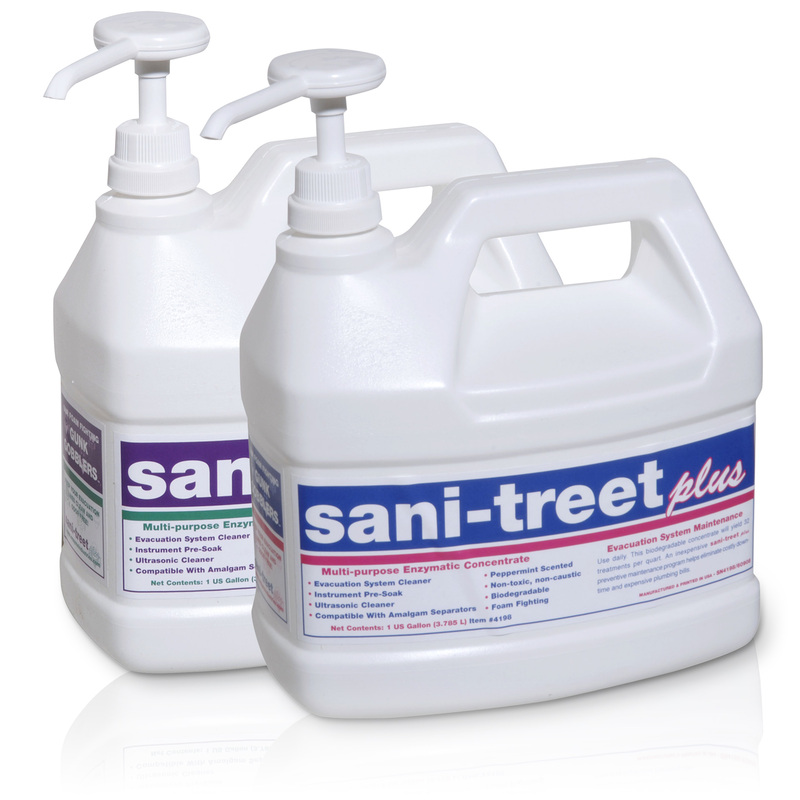 It cleans and deodorizes filters keeping lines clear of debris and may be used as an instrument pre-soak and ultrasonic cleaner. It is available in two scents, Peppermint and fresh Country Meadow and packaged in a gallon with a pump included for accurate product dispensing.